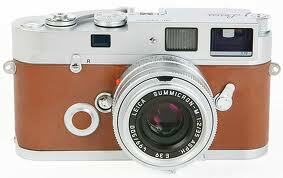 In 1956, Leica produced the MP, a “Professional” version of the M3 with long winding shaft and fitted Leicavit. Original MPs were two-stroke, and like unlike the M3, had no self-timer. The film counter was, like the M2, external and needed to be manually set. Essentially, the MP was a dual stroke M2 with 50mm viewfinder and Leicavit attached, produced a year before the introduction of the M2 in 1957. Sale of the camera was restricted to “bonafide working press photographers.” In order to purchase an MP, dealers had to specify the name, address and professional credentials of the purchasing customer. 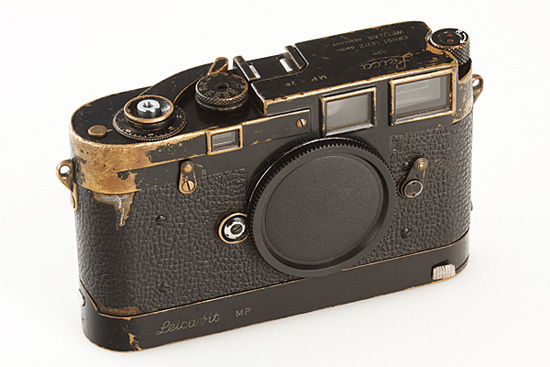 In all, Leica produced 449 cameras, 311 chrome and 138 black paint, although some existing M3’s were converted to MP’s by Leitz in the early 60’s. These conversions did not carry the MP numbering. 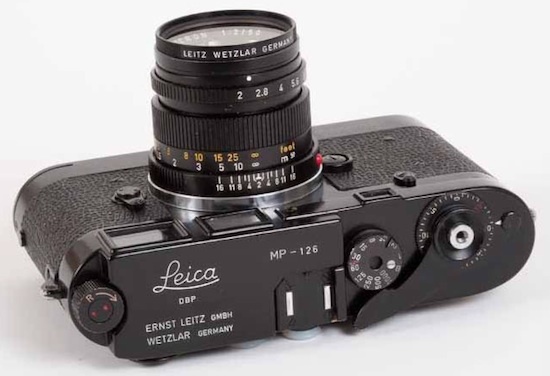 The MP was discontinued in 1957 after the introduction of the M2, which also used the Leicavit winder and had the advantage of a .72 viewfinder that accommodated the more popular 35mm focal length. In 2012, MP #126, shown above, sold at auction for $158,000. In 2003, Leica introduced a “New” version of the MP with TTL exposure metering. 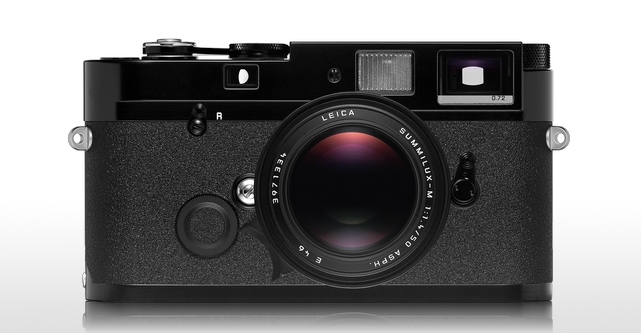 A new Leicavit-M was offered as an accessory. The single stroke winding lever was the metal one-piece type found on the M3/MP. The viewfinder was the same version as found on the M7, and was available in 0.58, 0.72 and 0.85 magnifications, although the new black paint version was only offered with the 0.72 magnification viewfinder. Like the original MP, the top-plate was made of brass and carried the engraved Leica logo. This entry was posted in Cameras, Uncategorized and tagged Leica M, Leica MP on August 20, 2013 by Leicaphila.